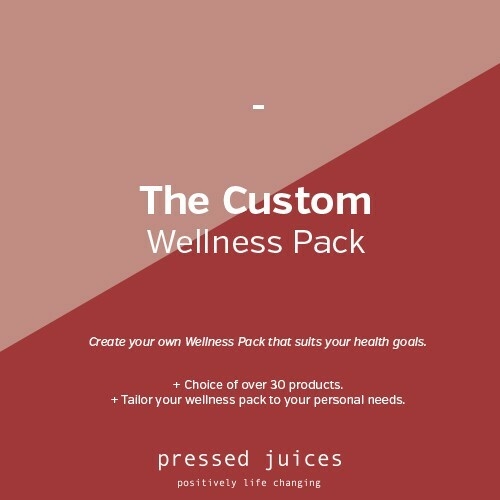 The Custom Wellness Pack is the ideal way to tailor a selection of juices to your own personal health goals. For some individuals and people that are new to cold pressed juices it is the ultimate way to become familiar with our range. • Choice of over 30 products. We suggest grabbing a wellness pack leading up to your first cleanse as a way to expose your body to a variety of nutrients and vitamins. 2 - 24 Clayton Road, Notting Hill VIC 3168.